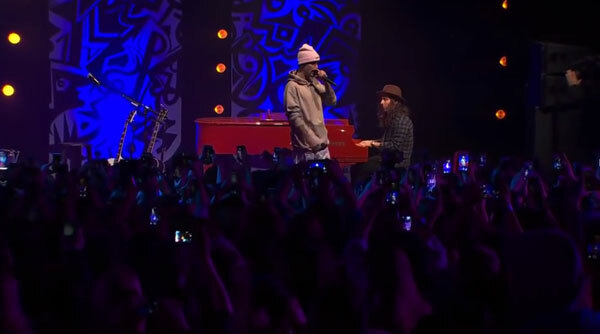 Toronto Beliebers got the surprise of a lifetime when Justin Bieber rolled into town for an intimate popup show, #PurposeInTO, at the Danforth Music Hall. Since no true fan story is complete without a photo, Twitter asked us to help the fans get one step closer to Justin with a photo booth featuring a life-sized cut-out of the pop star. While 1,500 diehard fans waited in line, they got to hype the experience they’d soon be having when we invited them to pose in our booth. It was easy to spread the word about their good luck on Twitter via our tablet kiosk designed for social media sharing.